March is National Nutrition Month which kicks off an educational campaign to develop awareness about healthy eating. Eating right is critical for feeling our best and warding off potential diseases. The celebration provides a great excuse to examine your diet and make needed adjustments. Consider these ideas for improving your eating habits. Educate yourself – Some people may eat an unhealthy diet without even knowing it. It’s important to understand things like recommended daily allowances and how to read food labels. Study up on basic nutritional guidelines so you can make optimal food choices. Count calories – When we consume more calories than we burn, we gain weight. Be proactive in tracking your caloric intake. Know how many calories you should consume each day, based on your age and weight, and stay within those parameters. Drink water – Your body functions best when it is hydrated. Always keep a water bottle within reach, so you can quench your thirst. 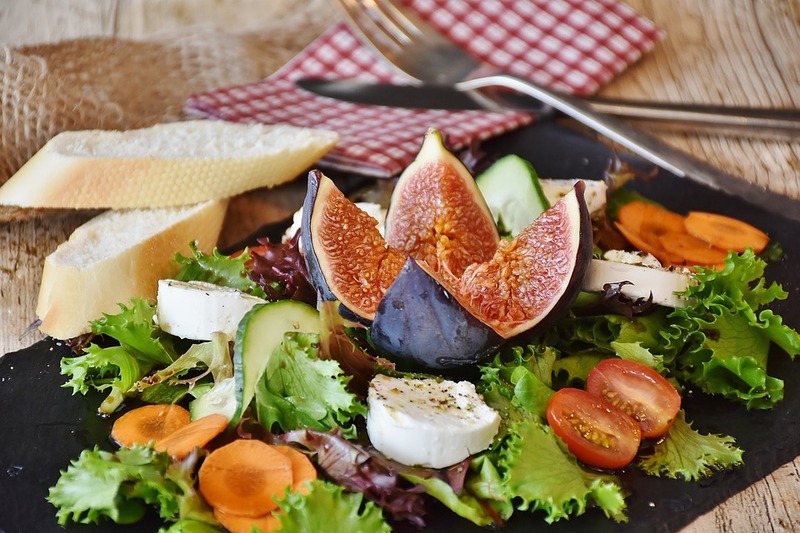 Make healthy eating an art – Many people think of good eating as a punishment, but you can make fresh, gourmet meals without splurging on calories and fat. Check out light cookbooks for innovative ideas. Attend a nutrition class – There’s a lot to learn about nutrition, and one great way to get smart is by consulting the experts. Nutrition classes may be available through nearby colleges or hospitals and can be a big help in informing wise food choices. Cleanse your system – You can better process nutritious food if your body organs are clean. Over time, toxins can accumulate in your organs. Using detox products, such as herbal detox and liquid detox drinks, will help the body flush out accumulated debris. The clean organs will then be able to absorb nutrients more efficiently. We talk often about freshening up our homes with spring cleaning. We can do the same thing by tidying up our nutritional habits and setting new goals for sustained wellness.